Pramudya Azhar OktavinandaIf you used to visit many English speaking blogs written by North American or European bloggers, you’d be amazed by three things: the quality content which is triggered by passion in writing and, secondly, regular updates. Thirdly, quality comments. Have a look, for example, at Informed Comments a political blog run by Juan Cole, a professor of political science in Chicago University. The blog is updated almost daily, quality well-researched contents and very well written visitor’s comments. In Indonesia such blog as Juan Cole’s that fit those three criteria are a rarity. 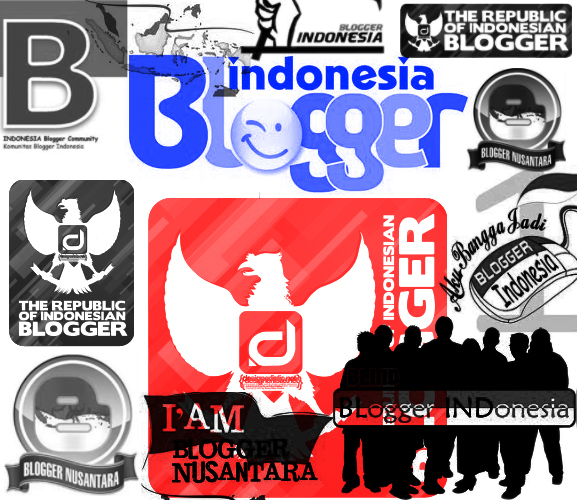 I think for the time being, an Indonesian blog which fit the first criteria is very good enough. And one of those rare quality content blog is a blog run by Pramudya Azhar Oktavinanda. He, according to the intro in his blog, is “An Indonesian capitalist lawyer, a self proclaimed legal genius, an avid reader, a devoted gamer, a tasty foods lover, a part time traveler, and a day dreamer.” His self-proclaim geniusness might not be too exaaggerated as he was Universitas Indonesia’s Best Outstanding Student in 2004. What does make quality content blog? A lot of reading. One cannot write a good blog post, unless he/she has a passion in reading. We have reached an understanding that the concept of Islamic state is mostly derived from experience not religious doctrine. As a consequence, there is no use for discussing the formal structure of the Islamic state. Don’t waste our time preaching the greatness of the Islamic state and the promise that it will bring, instead, we should really focus on how we can manage the state to provide better service to the people, and I am certain that this is relevant for the current Indonesia. Pramudya’s blog is very good one as elaborated above. That’s said, If I am allowed to give advice, I’d recommend him to have a top domain with his personal name like pramudyaoktavinanda.com with hosting still in blogger.com. Thus, no need to worry about bandwith issues. Having top domain would make his blog more personal as well as look more easy-to-remember. His friend, Mova Al Afghani has used just that: top domain with blogger.com hosting. He may learn about this Blogger costume domain here. Matthew Isaac CohenMatthew Isaac Cohen, as he describes himself in his Blogger blog, is a Professor of International Theatre at Royal Holloway, University of London. The reason why he is picked as Blogger Indonesia of the week this time around is because of his another unlikely part-time profession: as a shadow puppeteer. Yes, he is one of those rare foreign dalang who are interested in Javanese art of wayang kulit. His interest in wayang stems from his “research interests in Indonesian performing arts and traditions of puppetry around the world” as he further said in his blog intro. Yesterday afternoon (8 August) I attended the Gladhi Resik or Dress Rehearsal for West Java’s delegation to the Kraton Festival Nusantara. This is a biennial celebration of Indonesia’s courtly cultures – pomp and circumstance, humourless speeches on the greatness of tradition, occasionally interesting art works. … The afternoon concluded with the handing out of charity baskets to the poor (who also attended the dances and procession) and a buka bersama meal. A reporter from RRI interviewed me about my thoughts about Indonesia culture today and specifically the role the kraton plays in contemporary society.I tried to be as diplomatic in my responses. Interestingly, he really is serious about being a dalang. So much so that he got some appreciation and awards. In another blog in WordPress.com, he told us about his Kanda Buwana an honorary name he received from Sultan Abdul Gani of the royal court of Kacirebonan in Cirebon, West Java. He also received a royal title from the sultan, Kyai Ngabehi, roughly the equivalent of a knighthood, for services rendered to puppetry and traditional culture. The purpose of his blogging is “to report on all Indonesian performing arts – folk, classical, popular and modern – as well as visual culture on occasion.” This is the thing that we, academicians as well as students, are lacking: to spend a little time a day to report what one is doing, researching and observing through blogging. We underestimate the important of this free publishing tools. Instead we tend to be more active in such social media as Facebook and Twitter all of which are unsearchable. Meaning, your thoughts you have written will only be read by person you know i.e. who follow you whichs are not necessarily intrested in it. The writing in blog, however, will be read by both your friend and people who are interested in those topic through Google search. May be, we might switch the trend a little bit by blogging more and facebooking or tweeting less as shown by Matthew. After long interval, I restart the BOW (Blogger of the Week) feature of this blog. I hope it can be updated more regularly from now on. Also, this feature will be opened both for English and Indonesian speaking blog which talk about Indonesia or Indonesian culture written either by Indonesian or non-Indonesian. Update : Nov. 2014: Because of my hectic schedule in recent years, I no longer have the luxury to continue this program of blog review at least for the time being. Salam dari manado. Mas, link balik ya! berbagi itu menyenangkan, apalagi hidup untuk bermanfaat buat orang lain. Minta tutorial Cara daftar google adsense biar di aprove oleh google donk mas …. Sangat senang sekali berkunjung di sini,walau saya tidak terlalu ahli english namun sedikit bisa menangkap artikel anda.saya hanya ingin sumbang saran,nama hebat dan artikel luarbiasa seperti ini,harus bisa mengangkat nama besar indonesia di mata dunia.saya bangga dan salut mempunyai anak bangsa indonesia yang berkualitas seperti anda,,salam hormat untuk anda,mohon pencerahan!